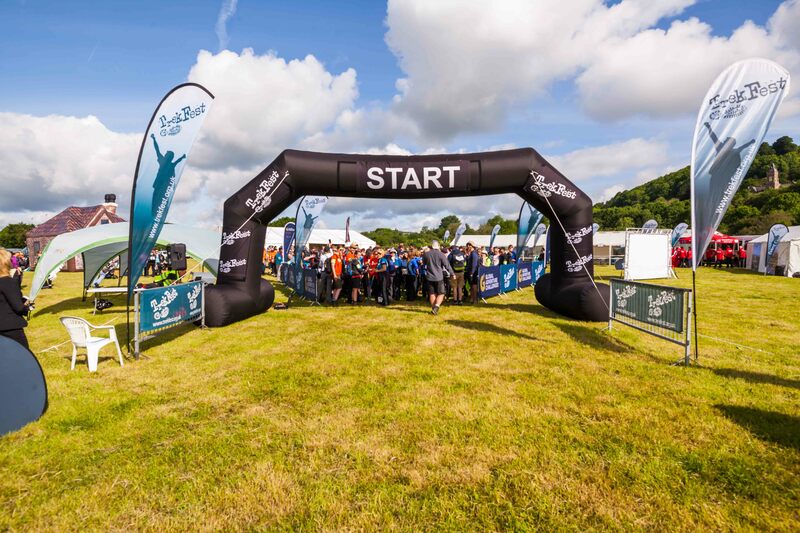 TrekFest The Beacons is Back For 2019! The ultimate trekking challenge returns to the stunning Brecon Beacons on Saturday 6 July 2019! TrekFest is so much more than your average trekking challenge – it is a trekking weekend experience like no other! Choose your charity, choose your distance and make every step count! Since TrekFest launched in 2013, our TrekFest conquerors have raised almost £2 million for charities nationwide – you really will be making a difference with every single step! Once you have chosen your charity, it’s time to choose your distance. Take on either 25km or 50km in the stunning Brecon Beacons National Park, where you will reach the summit of South Wales’ highest peak – Pen Y Fan (886m). TrekFest is suitable for both beginners and experienced trekkers alike and is designed to challenge you both mentally and physically. Whether you are trekking solo or with your friends and family the TrekFest crew will support you every step of the way and ensure you have the best trekking experience. As you cross that finish line you will be rewarded with a huge sense of achievement! As soon as you sign up to this epic adventure you will be on a fully supported journey from start to finish! Before the event you will be provided with training plans, exclusive access to the TrekFest Facebook community and Participant Area on our website as well as kit lists, route information and exclusive discounts! During your TrekFest challenge you will be provided with a fully signposted route, route guides, marshalled checkpoints, water, fruit and snacks, a hot meal for all 50km participants, timing chips and of course -unbeatable support from the awesome TrekFest crew! After you cross that finish line you will be provided with a finisher’s medal and t-shirt, a hot meal, a celebratory drink, a free post trek massage and most importantly – an incredible sense of achievement! Both the 25km and 50km routes start at the TrekFest Village – the perfect location to soak up the pre and post event atmosphere! Here you can enjoy a delicious BBQ on the Friday evening as well as a drink (or two!) at our inflatable pub throughout the weekend! We also have a great post-trek chill out zone, where you can relax and reflect back on your amazing achievements and get chatting to likeminded individuals. There are also plenty of facilities including toilets, showers, food and drink and camping plots, so you really can make a weekend of it! The sooner you register, the more you will save! Plus, you will have more time for your fundraising and training in the lead up to the event. Early bird entries will receive a discount on their registration fee – so head over to our TrekFest website to get signed up! Why not get your workplace involved – not only will TrekFest build a sense of team spirit, it will also help you support your chosen charity! If you are looking to sign up as a corporate team then we can offer you a range of benefits including group discounts, fast track check in, access to the corporate camping area and checkpoint sponsorship options! For further information on the packages available please give us a call on 01244 676 454 or head over to trekfest.org.uk for more information! Choose your charity, choose your distance and make every step count!